I NEED TO...optimize my software and hardware assets. This ITAM roadmap gets you on the right track. Where are you in the IT asset management journey? 3 Easy Steps for ITAM Success. Best blog post ever? Maybe. 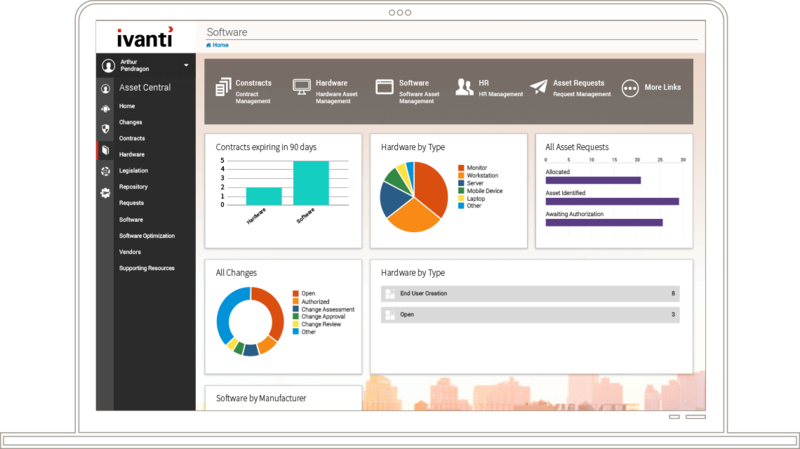 See how your organization can benefit from our comprehensive asset management solutions. Chances are you have tons of hardware and software to watch over, no matter your industry or business. From desktops to laptops, printers to smartphones, your users need these devices and the software on them in order to perform their jobs effectively. At the same time, it's your job to optimize the performance of IT assets—all while trying to reduce costs. You need an ITAM solution that makes your assets work harder for you. Most organizations concede that they don't know exactly what hardware and software assets exist in their environment. Sound familiar? Leave no doubt and ensure your assets are being employed to their fullest with Ivanti. Automate processes to meet the IT needs of new hires on their first day. Plus prevent ex-employees from walking off with assets, licenses, and other company property. Time is money. Eliminate prolonged downtime from hardware failures through well-timed maintenance and replacement processes. Insight into your software usage means you can quickly identify and reclaim underutilized licenses and those not in use at all. Discover hardware and software assets automatically—both managed and unmanaged—that are connected to your network. Ivanti solutions deliver knowledge on the assets that already exist within your network—and on new purchases. Now that's power... pure, unadulterated, raw, adrenaline-inducing power. You can discover the assets critical to your operation, provide insight for more informed decision making, and gain the most from your IT investments. Total hardware and software optimization. Make your assets work though their entire lifecycle. Maximize your software licenses and stop overspending. Taking software asset management to the data center. Computer hardware isn't cheap. Software licenses can cost even more. You deserve the right tools to make it all perform at the highest possible level. Get detailed hardware status information throughout the lifecycle, including information like refresh schedules, maintenance, and hardware requirements for software. 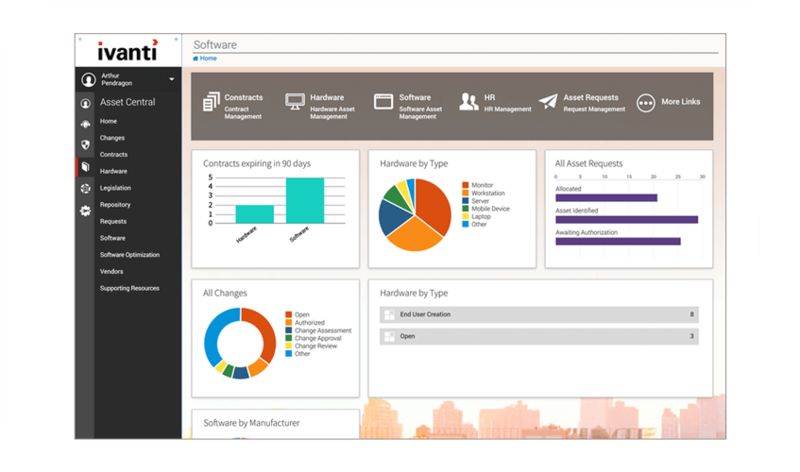 Reclaim unused licenses for reallocation or renegotiation with your software vendors. Target or avoid specific users or user groups for minimal disruption. Whether managing software, hardware, server, client, virtual, or physical or cloud assets, Ivanti IT asset management affords you a single, complete view of your ITAM position. View real-time software usage information to optimize licenses. Drill deeper for specifics about device names, when the software was last used, how many times it was launched, and duration of use.